These specialist leads have been purposely designed to transmit as much information as possible about the topography of a swim when feature finding. The four fingers will help the lead 'feel' the bottom more precisely when 'casting around' feature finding, looking for gravel patches, plateaus or bars. 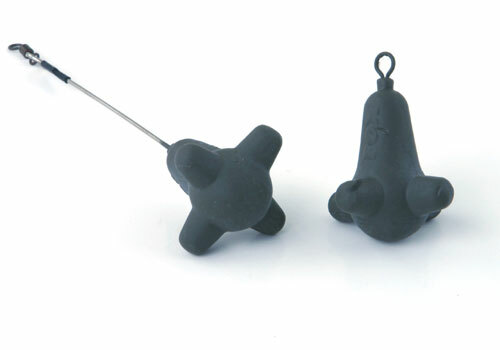 Each pack contains one standard Explorer lead and one with a rigid wire stem. This is useful when feature finding over weedy or silty bottoms or when you are experiencing difficulty in getting your marker float to rise to the surface.